What is now the Jeep Wrangler, is undoubtedly one of the most iconic vehicles of all time, both in the USA and worldwide. 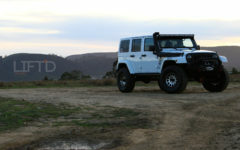 Some would even argue that it is perhaps the MOST iconic and tops the list. 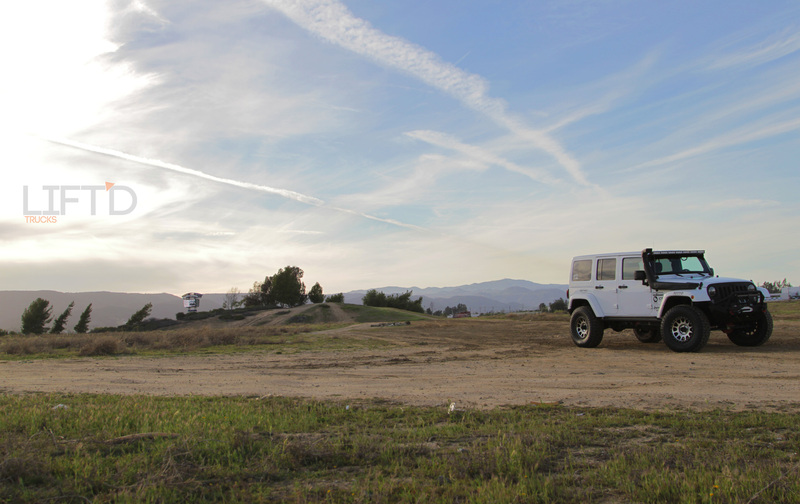 Since its inception and adoption in the US Military, Jeep has been synonymous with bravery, adventure, and freedom. 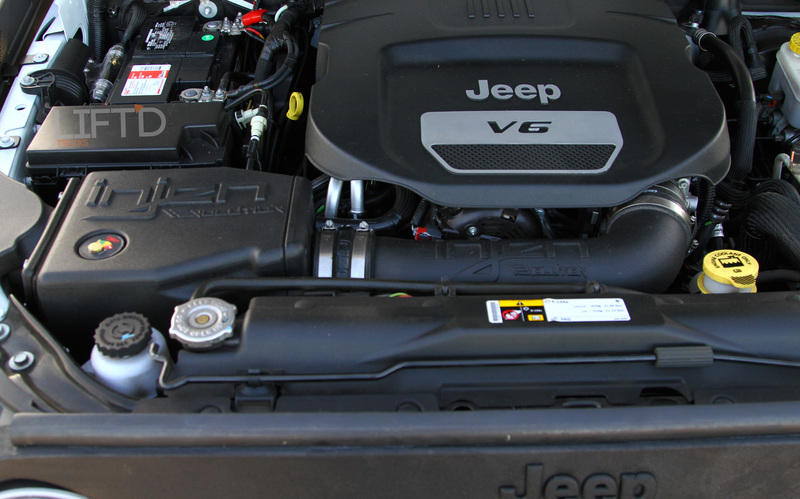 These core components of the Jeep Wrangler’s soul, no matter how modern it has become through it’s recent evolutions, have never changed. 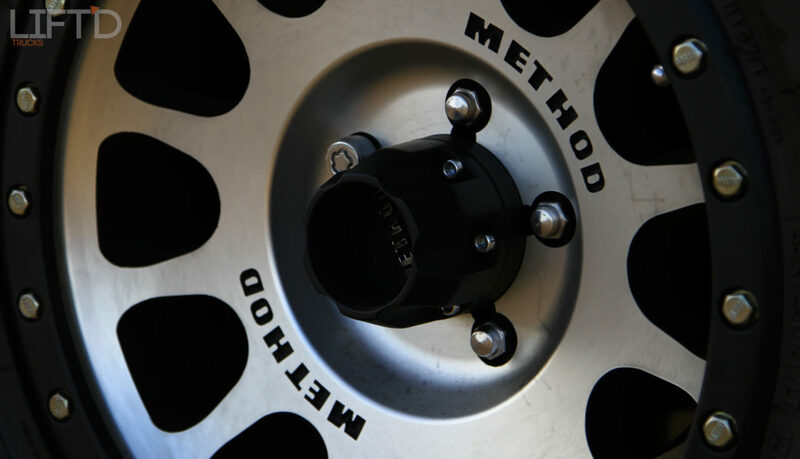 The legendary vehicle represents free will in motion, giving its driver seemingly unlimited access to the world around, as very few obstacles will get in the way of a well operated rig. 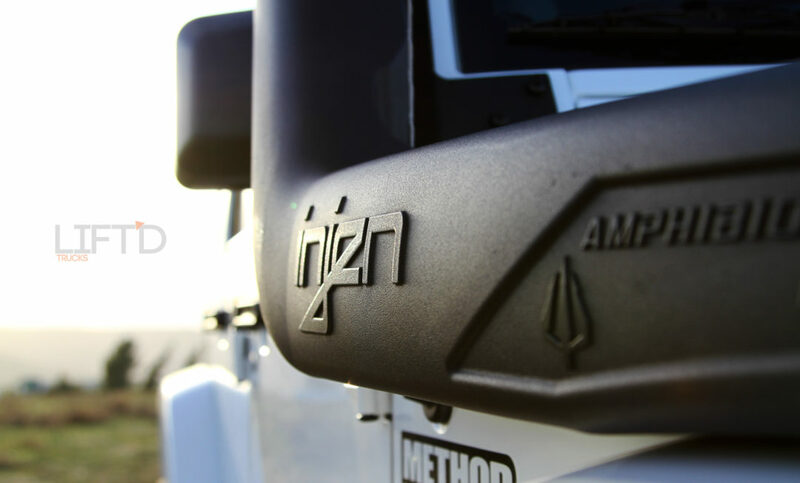 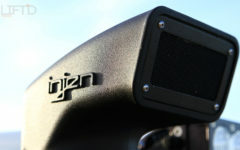 In an effort to further the freedom and intensify is capabilities, Injen Technology has tackled the project of designing and engineering an unparalleled snorkel intake system for the Jeep Wrangler JK. 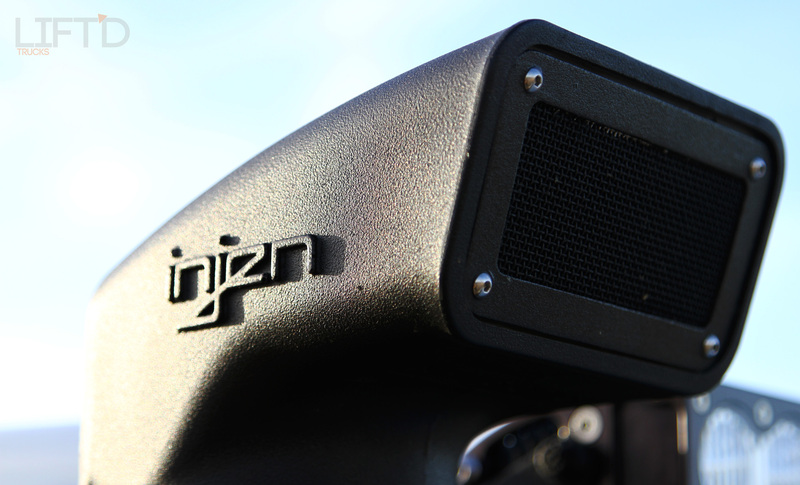 Injen Technology has been in the business of producing some of the absolute best and technologically advanced intake systems on the market. 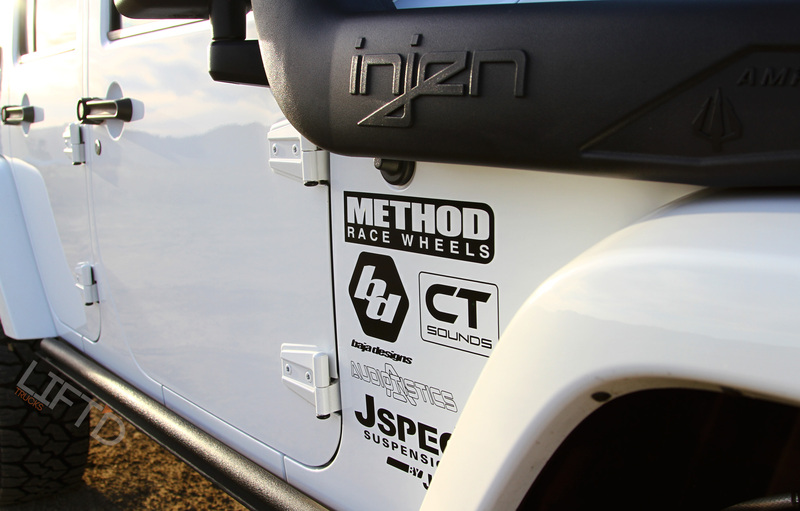 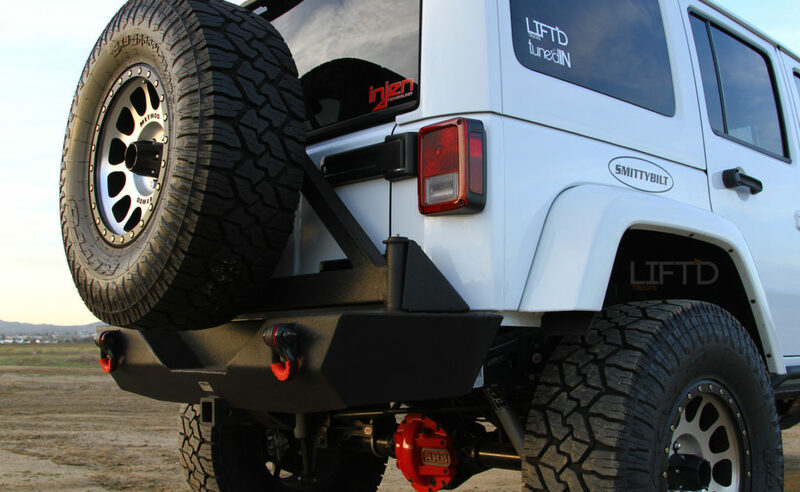 For SEMA 2014, Injen treaded into deeper waters, displaying their sealed snorkel intake on a brand new (at the time) 2014 Wrangler Unlimited Sahara. Enter Al Mendoza. 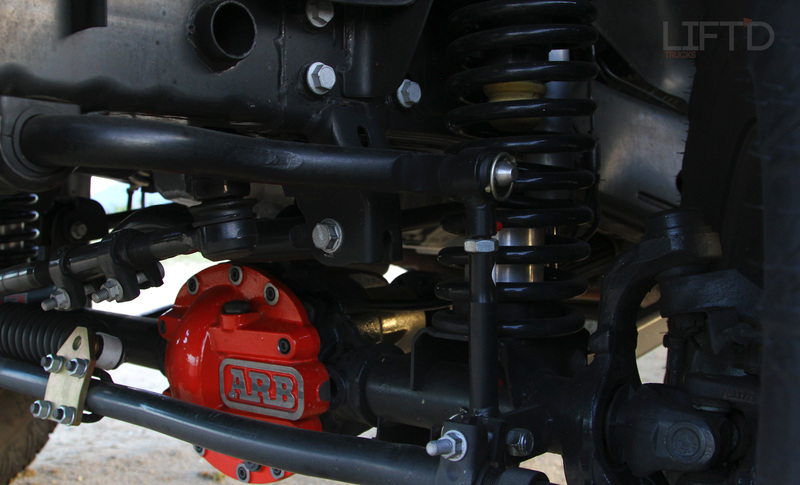 Al’s fascination and enthusiasm with the automotive industry began in his early high school years. 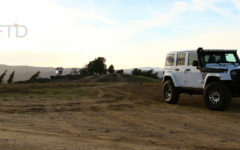 Up until adulthood, his experience had been mainly comprised of import and tuner cars and some work with SUVs. 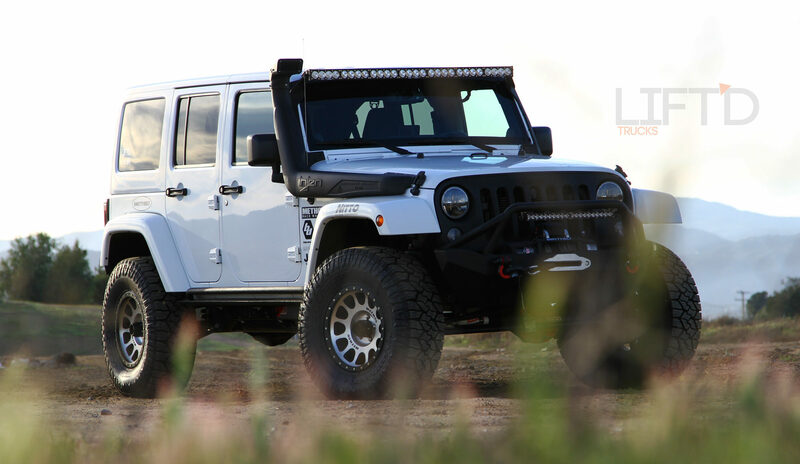 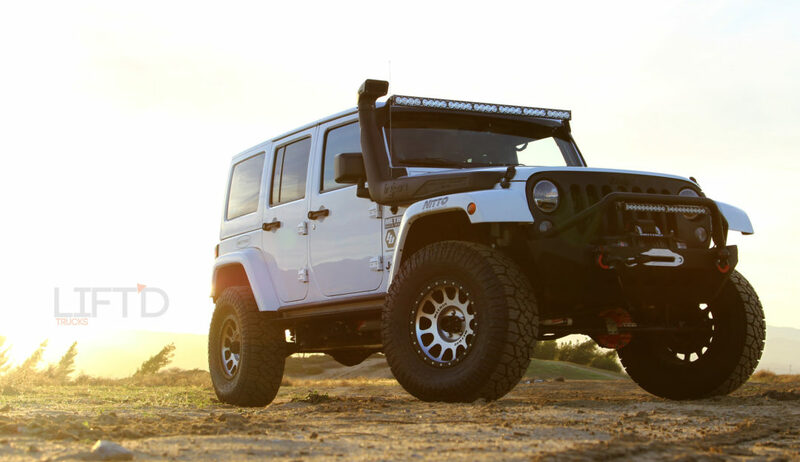 However, he made the absolutely wonderful decision in the summer of 2014 to purchase a Wrangler. 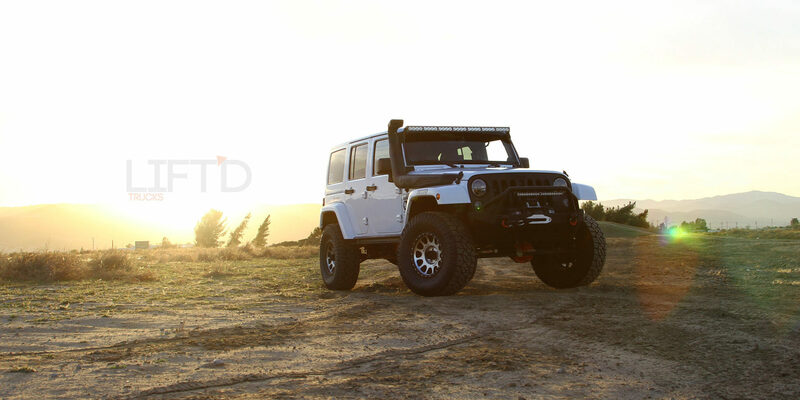 The build process for Al’s Jeep marks his first time venturing into off-road territory of any sorts. 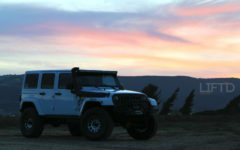 And of course we’d have to say there’s no better vehicle for such a journey. 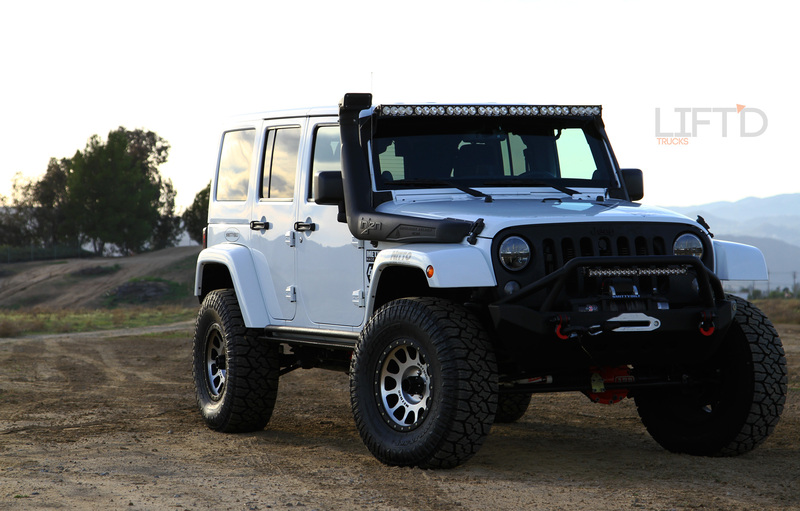 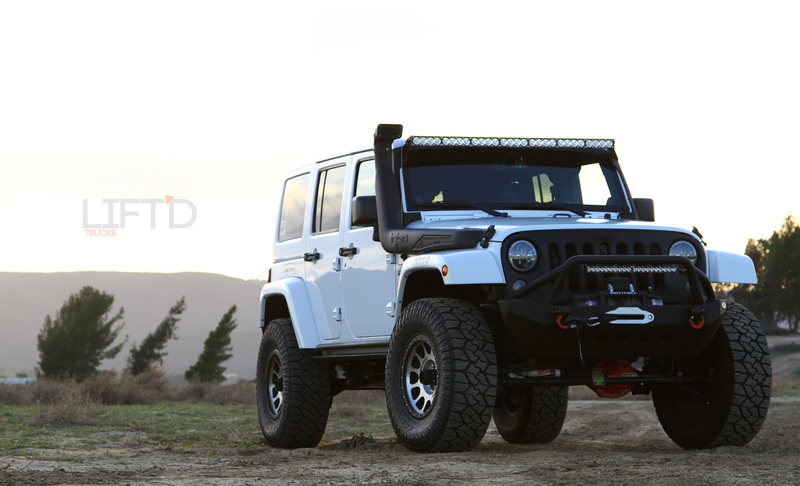 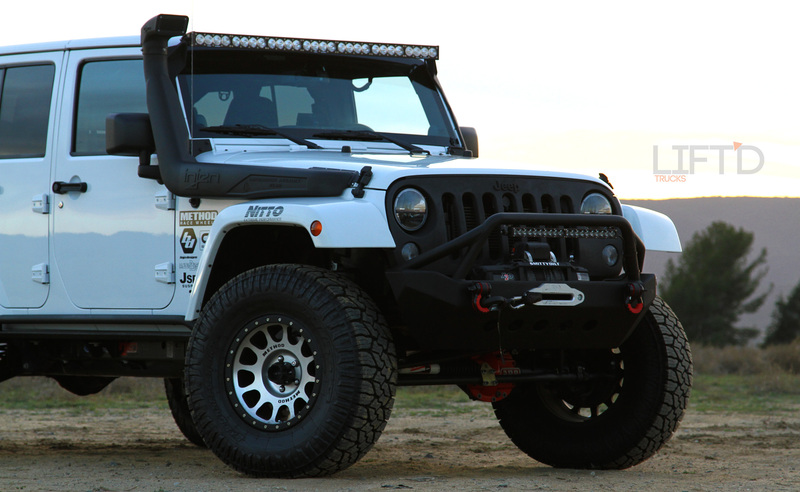 Al’s 2014 Sahara was built for both Injen’s 2014 SEMA booth, as well as the 2015 SEMA show with some new upgrades. 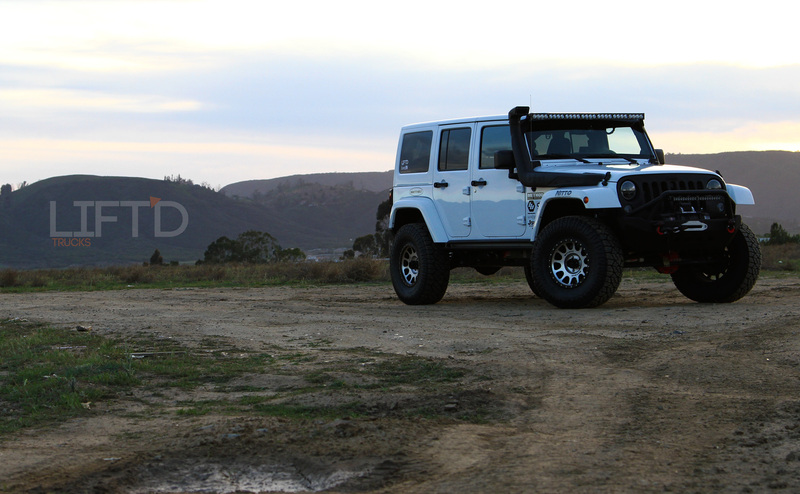 Paul Ho of Injen, a good friend of Al’s, took the lead with the jeep build. 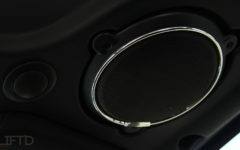 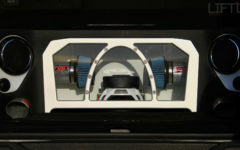 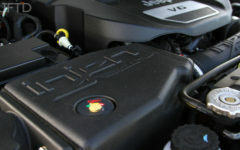 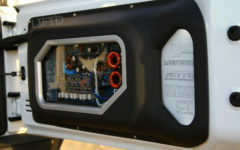 The project began with the R&D and prototyping done for the sealed snorkel intake system. 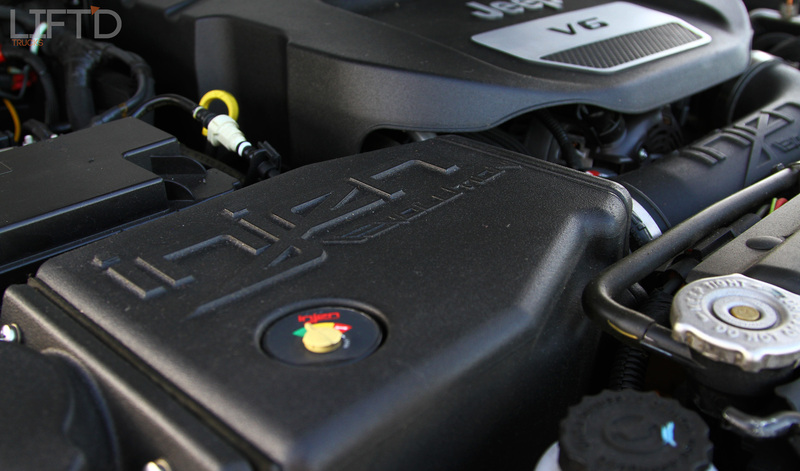 The tireless work put in by the Injen crew resulted in their Evolution series intake for the Pentastar V6, being coupled with their side-mount snorkel, which is as good looking as it is effective. 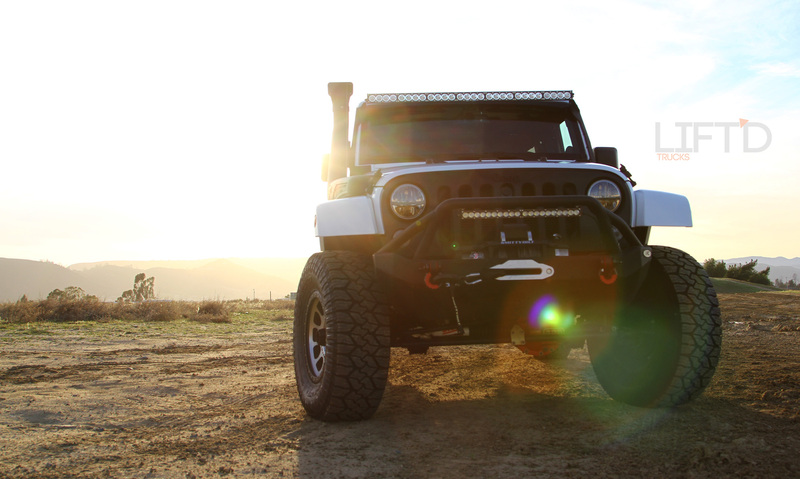 The snorkel has excellent styling, build quality, and above all – unmatched performance. 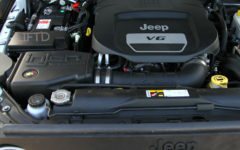 Having a snorkel intake system allows for the jeep to venture deep into water if need be, potentially water deep enough to submerge the entire jeep. 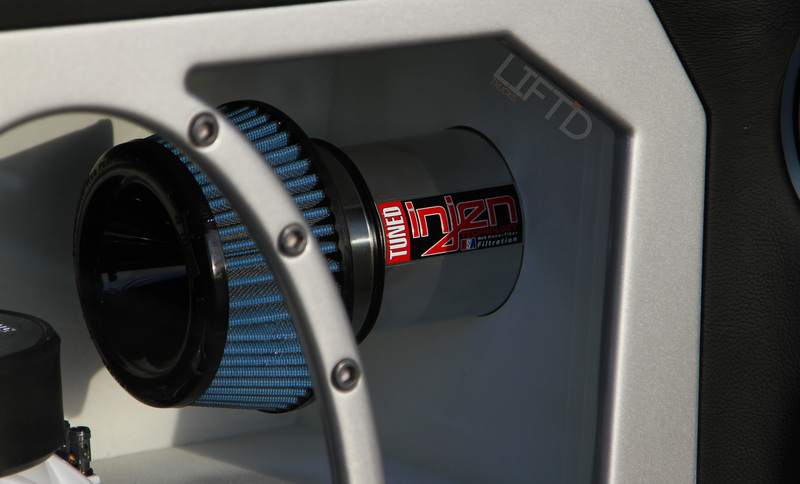 In addition to their intake system, Injen installed their “High Tuck” stainless exhaust system, providing power, harmonics, and plenty of ground clearance for a proper Lift’d ride. 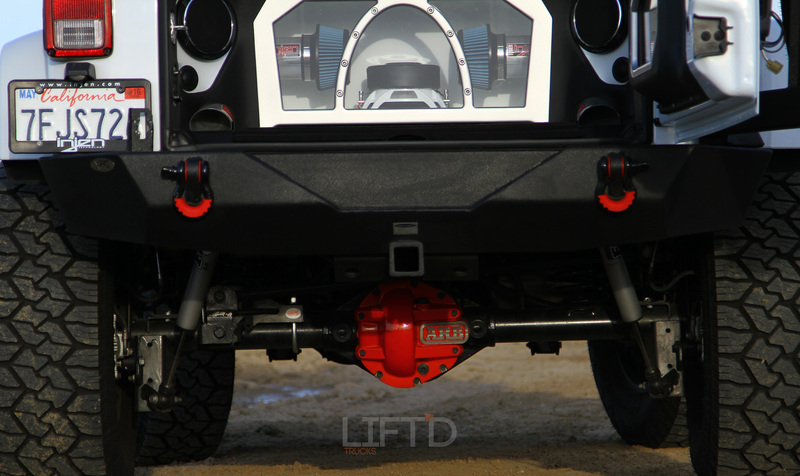 For the custom sound system portion of the build, the team at Audiotistics was tasked to do something totally different and innovative to set the Jeep apart from the rest. 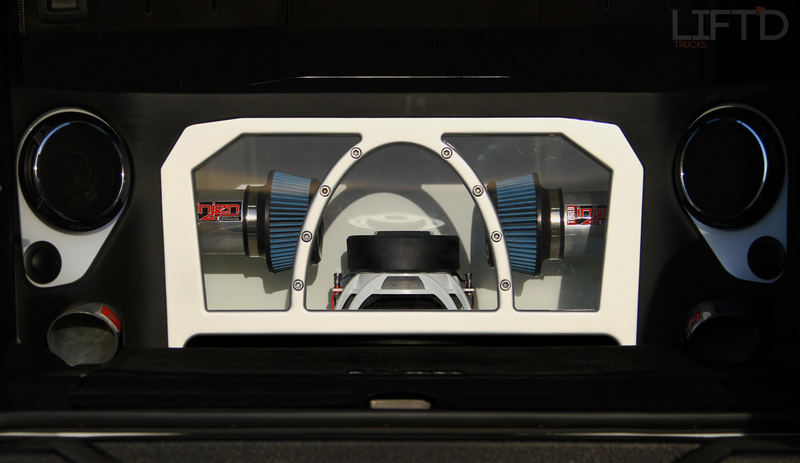 Casey and Tim put their heads together to design a system incorporating some well placed Injen components to highlight the build. 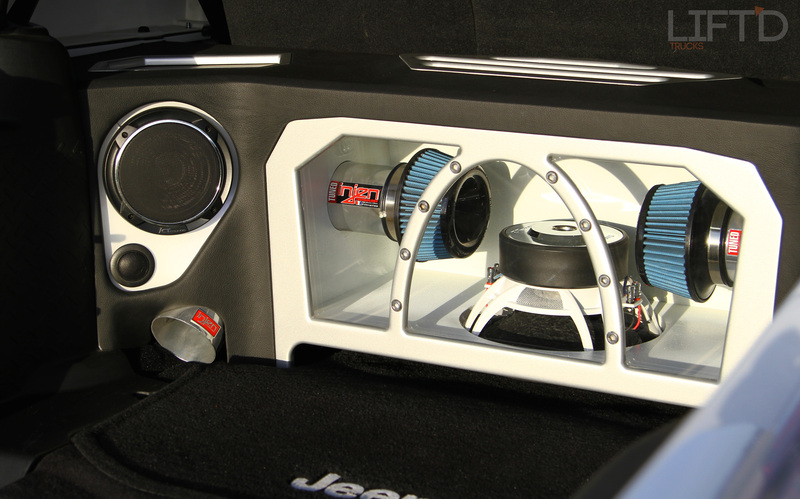 A custom rear box was built to equip two CT Sounds Meso Components and a CT Sounds Trop Coax for kids and highs. 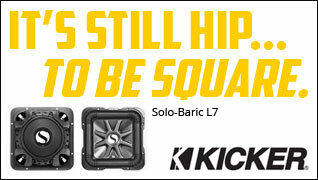 For subs, CT Strato 12-inch and Tropo 8-inch provide all the necessary rumble. 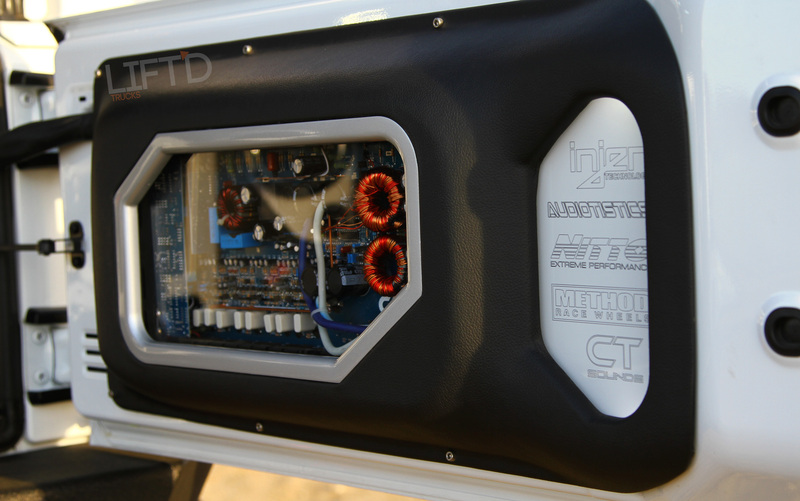 But what really sets the audio system apart, is the over the top custom styling of the bass which utilizes Injen intake components as the “bandpass” to pump volume through the cabin. 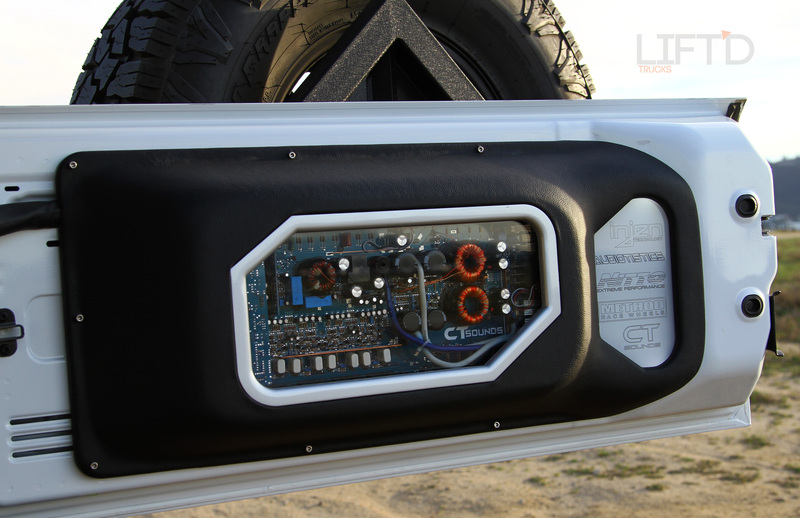 The swinging trunk gate houses visually accessible wiring and amplification set up, further pushing the build-quality to another level. 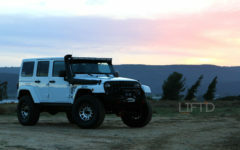 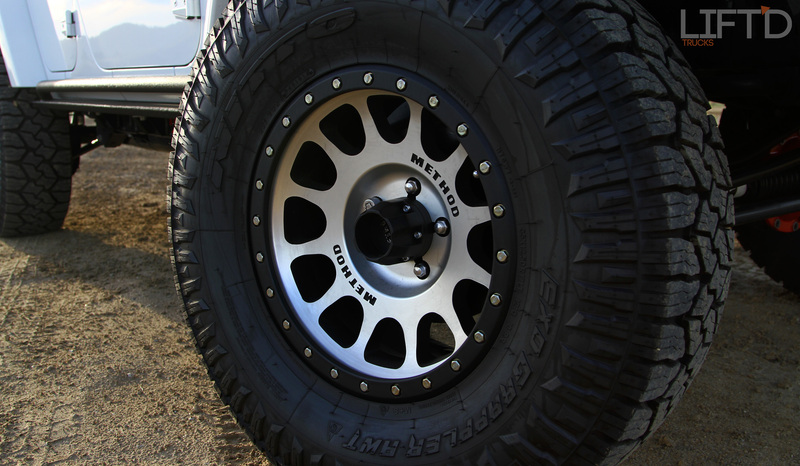 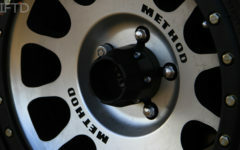 Additional modifications to the jeep include 17×8.5 Method Race Wheels NV 306. 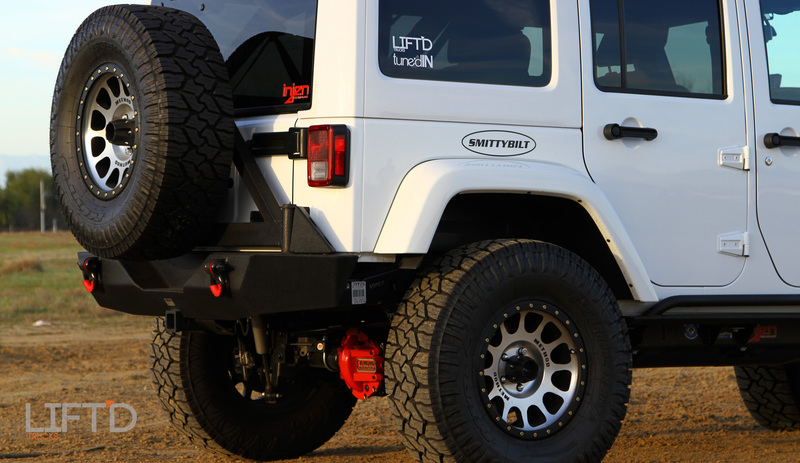 The ultra strong off roaders work perfectly with 35×2.50R17 Nitto Exo Grappler AMT tires. 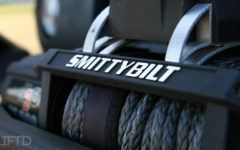 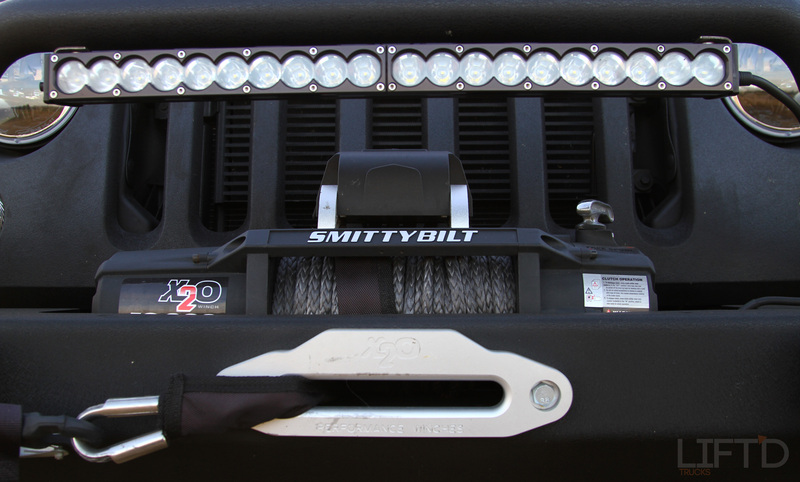 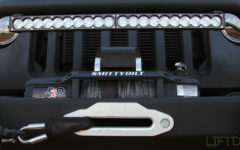 The Smittybilt X20-10 Winch, XRC front bumper, XRC back bumper, and XRC Rock sliders provide body armor and recovery tools. 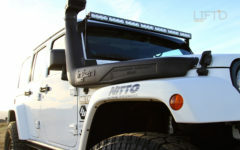 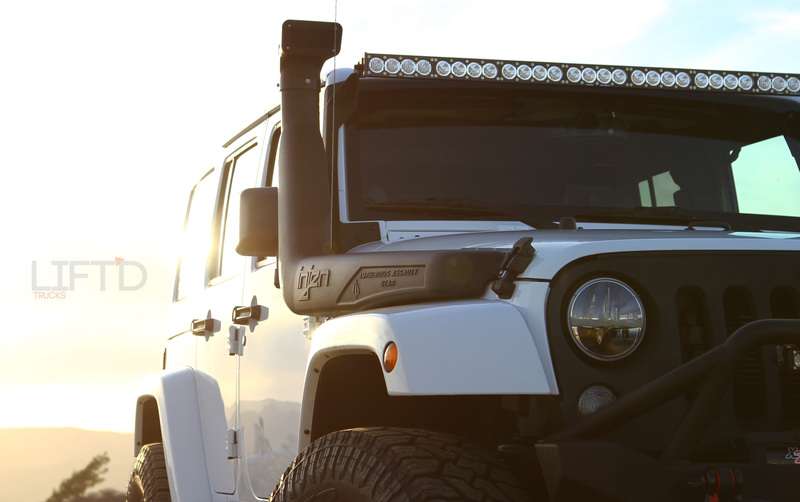 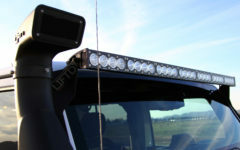 Baja Designs helps light up the potentially endless miles of off-road adventure with an ARC 50-inch Lightbar and Stealth 20-inch tucked into the bumper hoop. 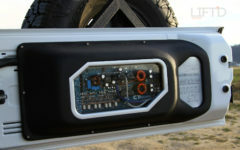 Theses are paired with Truck-lite 7-inch LED Headlight units. 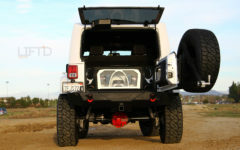 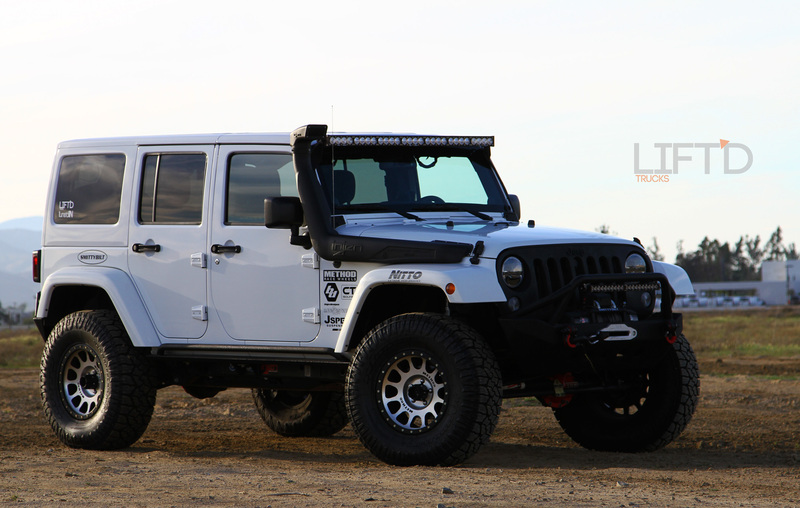 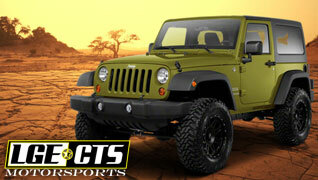 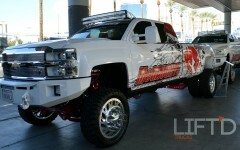 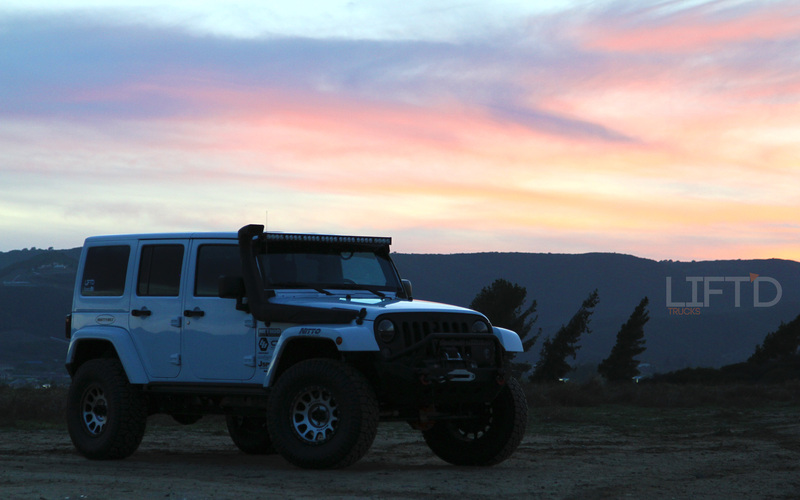 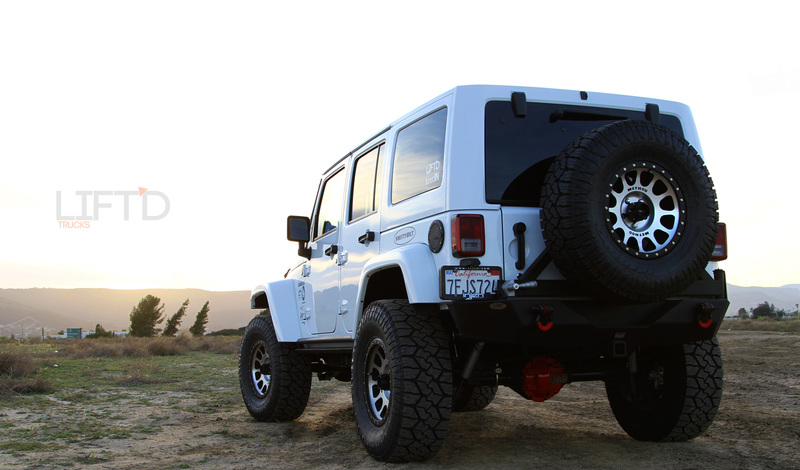 JKS provides the essential suspension upgrades and goodies, using their 3.5-inch Jspec Lift Kit, front and rear. 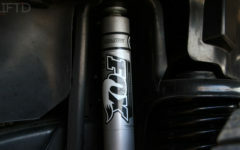 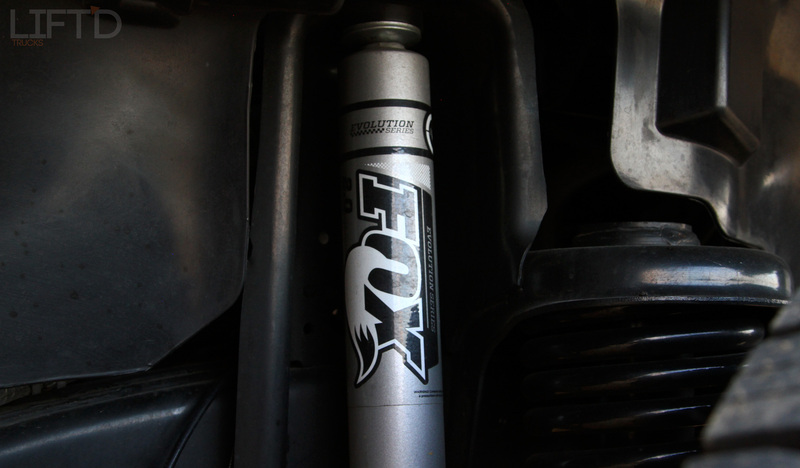 The factory shocks have been replaced with Fox Racing 2.0s. 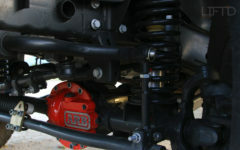 Finally, JKS JSPEC 1200 Quick Disconnect and JKS Steering Stabilizer round out the suspension modifications, which in cooperation the the Injen intake and exhaust, make Al’s Jeep perfectly suited for seemingly tough trails. 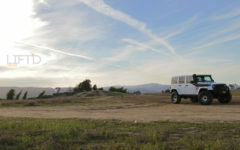 With his first couple years deep into the off roading scene, Al Mendoza has learned a few things. 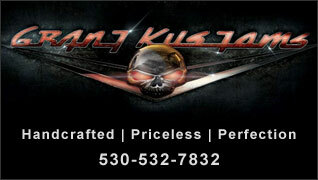 First is that he wants to go bigger. 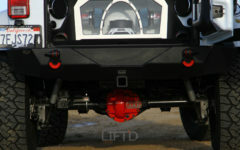 Al plans on continuing to build up the jeep using bigger tires, bigger axles, and a bigger badder suspension set up. Along this same line of thought, Al has learned that there will always be more to add, more to pursue, more to build on his Jeep, and he couldn’t be more happy with the prospect. 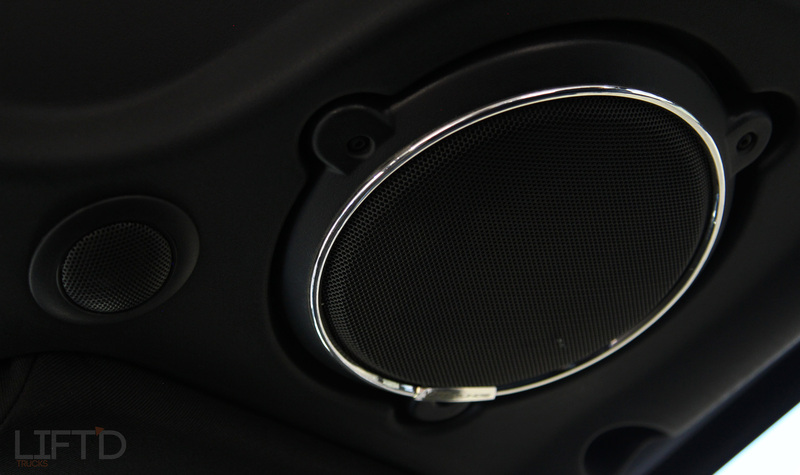 Lastly, having made a pretty dramatic switch, in a pretty serious way, Al has discovered that true enthusiasm transcends genre’s and personal tastes. 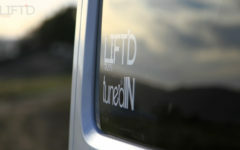 He has entered a brave new world of Lift’d customs and welcomes the new challenges and enjoyment that come with it.